Muchas veces nos vemos al espejo y nos damos cuenta de que la piel de nuestro rostro esta deshidratada y tenemos ojeras, entonces decidimos enfocarnos en consumir los clásicos “8 vasos de agua al día” e incorporamos nuevas cremas hidratantes a nuestra rutina pero no obtenemos los resultados deseados. Esto se debe a que nuestro organismo necesita de ciertos nutrientes esenciales, como las vitaminas A, D, E, K, y C, complejo B, calcio, hierro y otros, los cuales mejoran significativamente la apariencia de nuestra piel. Estos los podemos encontrar en vegetales como la espinaca, la zanahoria, la col rizada, bananas, fresas, pepinos y muchos más. Una de las mejores formas de consumir estos productos es en smoothies, no solo porque puedes combinar y mezclar variedad de ellos, sino que es una manera eficiente de darle a tu cuerpo la recarga de nutrientes que necesita. Las propiedades de este smoothie comienzan con todas las vitaminas que contienen los mangos y las naranjas, entre los dos contienen vitaminas A, B, C, E y K, mientras que proporcionan un dulzor natural al smoothie por lo que no hay necesidad de agregar azúcar extra. Las fresas también son una gran fuente de vitamina C, que se sabe mejora la producción de colágeno en la piel; mientras que las zanahorias aportan el beneficio adicional de los antioxidantes antienvejecimiento. El agua de coco es súper hidratante por lo que hará maravillas para tu piel, haciéndote lucir más despierta y refrescada. El mango tiene un alto contenido de carotenoides (el ingrediente que le da a las frutas y verduras amarillas, rojas y naranjas sus colores), los cuales se absorben muy bien en las capas externas de la piel. Hay que destacar que el consumo de estos alimentos ricos en beta-carotenos, pueden transformar tu piel de seca y aburrida a rosada y luminosa. Many times we look at ourselves in the mirror and we realize that the skin of our face is completely dehydrated and we have dark circle under our eyes, so we focus on drinking the classic “8 glasses of water a day” and we incorporate new moisturizers to our routine but nothing seems to give us the results we want. This is because the body needs certain essential nutrients, such as vitamins A, D, E, K, and C, B complex, calcium, iron and others, which significantly improve the appearance of our skin. These can be found in vegetables such as spinach, carrot, kale, bananas, strawberries, cucumbers and many more. 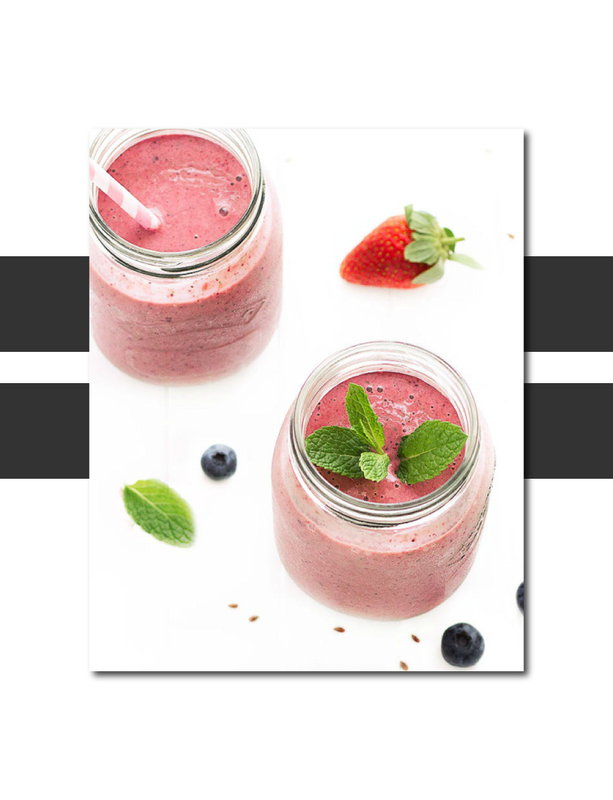 One of the best ways to consume these products is in smoothies, not only because you can combine and mix in a variety of them, but it´s an efficient way to give your body the recharge of nutrients it needs. 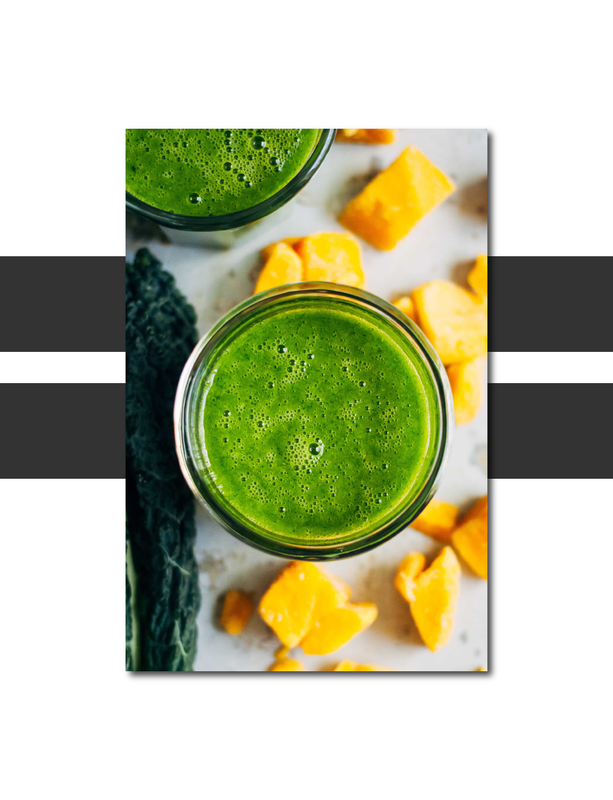 The properties of this smoothie start with all the vitamins that mangoes and oranges contain, between the two they have vitamins A, B, C, E and K, while they provide a natural sweetness to the smoothie so there is no need to add extra sugar. Strawberries are also a great source of vitamin C, which is known to improve the production of collagen in the skin; while carrots provide the additional benefit of anti-aging antioxidants. Coconut water is super moisturizing so it will do wonders for your skin, making you look more awake and refreshed. Mangos have a high content of carotenoids (the ingredient that gives yellow, red and orange fruits and vegetables their colors), which are absorbed very well in the outer layers of the skin. It should be noted that the consumption of these beta-carotenes rich foods can transform your skin from dry and dull to luminous and healthy.